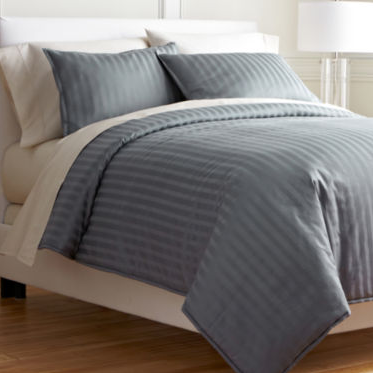 Historically, January is an ideal month to grab a great deal on bedding and linens, and this year is no exception. The Royal Velvet Damask stripe comforter Set from JCPenney – which boasts high customer reviews – has all of its components and accessories on sale, including the pillows, bed skirt, sheet set and comforter set, with prices ranging from $24.99 to $119.99. The comforter set is offered in a 2-piece twin, 3-piece full/queen and 3-piece king. Original pricing on the various set components and accessories is $40-$200, which means right now you can snag the regularly-priced $170 full/queen set for just $99.99. Get this deal from JCPenny.